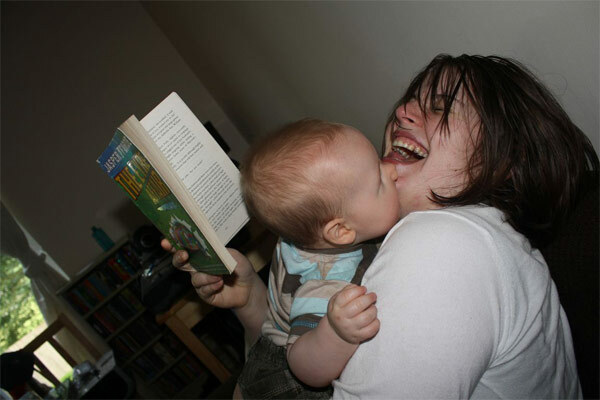 This picture is of me attempting to read The Eyre Affair whilst being eaten by a ravenous vampire baby! Whenever I sit down to enjoy reading the Thursday Next series I am brutally attacked, and as he has just grown two teeth he likes to use any chance he gets to bite! Maybe I should feed him before I sit down to read! Would you kindly forward this Picture to SpecOps 17, many thanks.